Mmmm Italian food, especially lasagna, has to be one of my favorite comfort foods. But wow, do I feel so stuffed afterwards and so guilty with all those yummy carbs and cheeses…darn you carbs and cheeses! 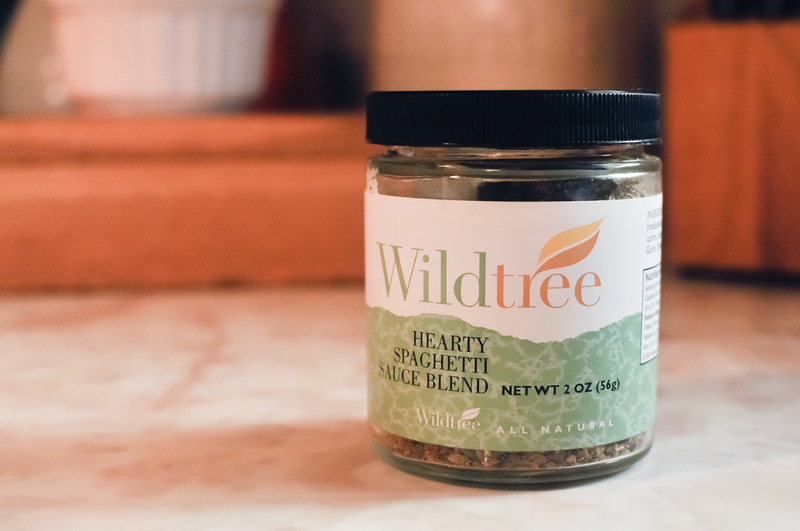 Here is a way that you can enjoy those wonderful Italian flavors and feel good at the same time! 2. Boil water in a small saucepan. 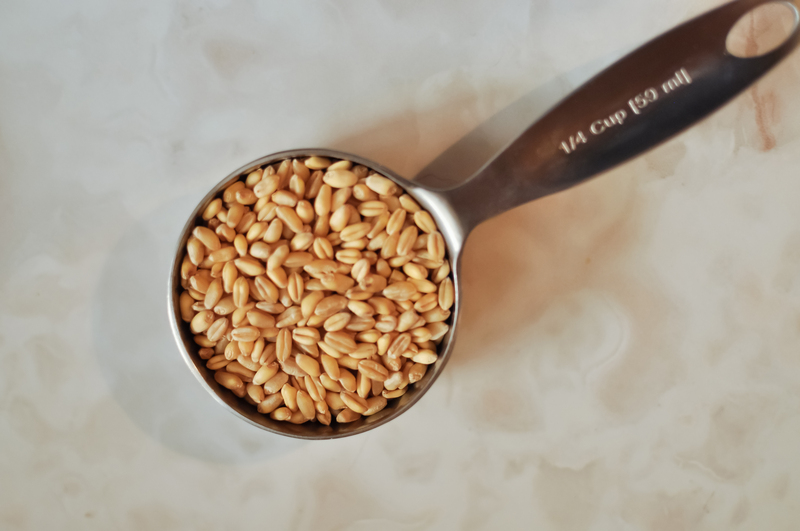 When boiling, add the farro. Decrease the heat to low and simmer for about 45 minutes. Texture should be softened but still have a little bite to it. 3. While farro is cooking, heat olive oil in a large saute pan over low-medium heat. Saute onion and garlic until softened and slightly browned and caramelized, about 5 minutes. 4. Add the mushrooms and cook until softened. 5. Increase heat to medium and throw in the Italian sausage. Cook until browned, about 7-10 minutes; break up into tiny pieces with a wooden spatula. 7. 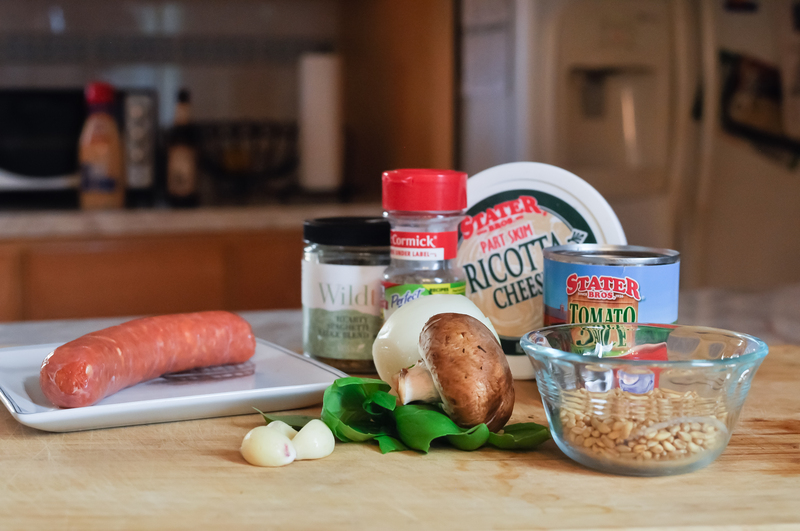 Add the cooked farro to the sausage mixture. Next, add in the tomato sauce, Wildtree or Italian seasonings and red pepper flakes. Decrease heat to low and cook together for about 5 minutes. Mix in the basil. 8. Take the zucchini out of the oven and stuff the turkey mixture inside each hollow zucchini half. 9. Turn off oven and turn on broiler to high. 10. 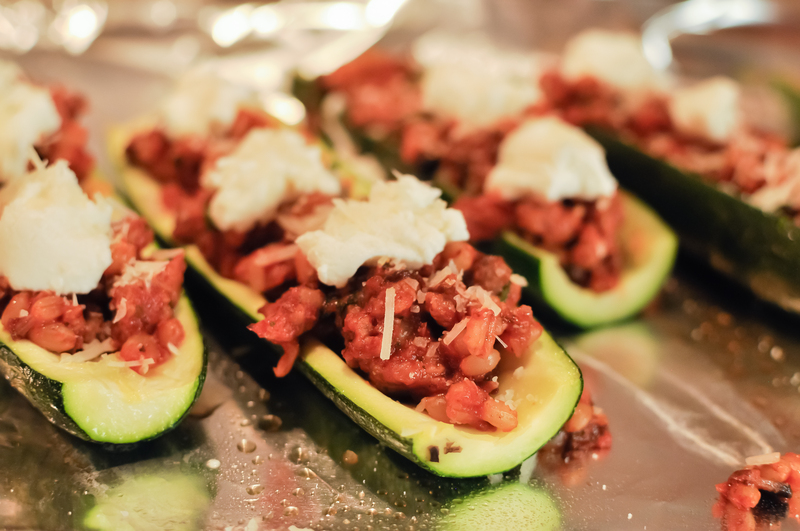 Top each zucchini half with 3 small dollops of ricotta cheese and parmesan cheese. 11. 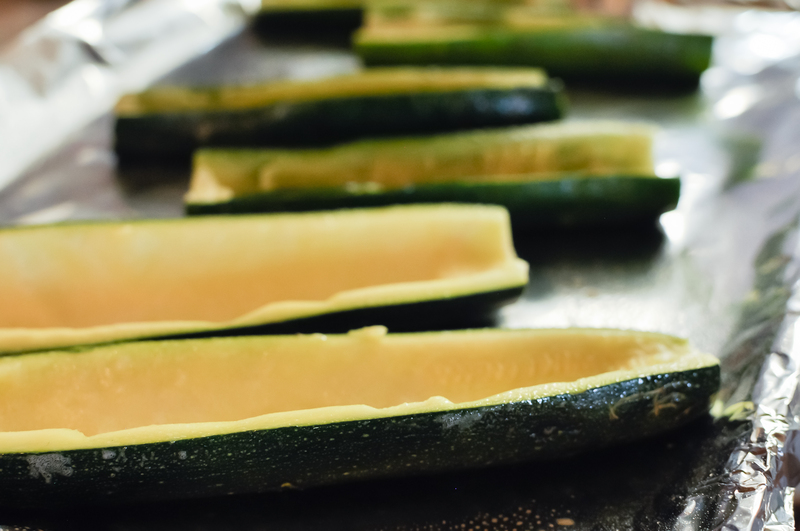 Place stuffed zucchini in the broiler until top of cheese of slightly browned. Keep a close watch, this only take a couple minutes. You can also tell the zucchini is perfectly cooked when he skin starts to curly in a bit. Enjoy!